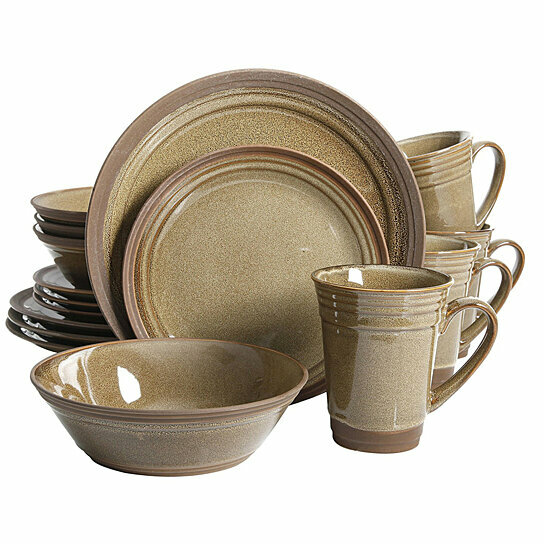 The Gibson Elite Brynn set features an artisanal reactive glaze blended with an earthen base and rims to create a beautiful handcrafted dinnerware set to adorn your home. Both an old world feel yet with a more contemporary look, this set creates a new dining experience for you and your guests. Truly unique and beautiful dinnerware which will add warmth not only to your table but to your guests.